- Significant reduction of storage space usage through H.265 and Smart Coding. - 9 ch. expandable to 32 ch. (*1) camera input. 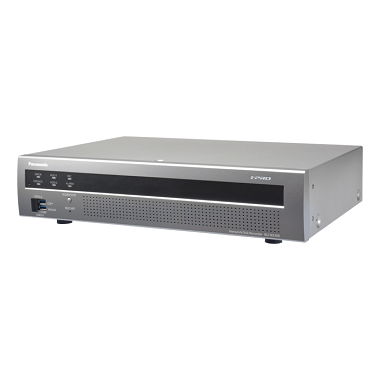 Supports H.265 / H.264 mixed recordings. *2 Secure Communication license is necessary. - No camera license fees with a default number of cameras; no annual license updates required. - Instantaneous power failure measures: Normal operation at instantaneous power failure within 200 ms; safe shutdown at power failure of 200 ms or more.